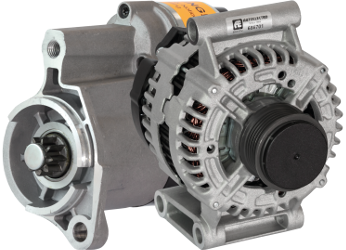 The team behind the UK’s largest independent remanufacturer and supplier of starter motors and alternators has released details of four new part numbers – all alternators – which cater for 10 models in all. The first reference, AEG1362, is a Ford Mondeo reference, which fits a 1.5 diesel (2015-onwards) and 1.6 diesel (2014-onwards). Ford features for a second time in this update; AEG1472 fits the Transit 2.0, Transit Custom 2.0 and Tourneo Custom 2.0 (all 2016-onwards). In another box, marked with Autoelectro’s ‘Fit and Forget’ mantra, customers will discover an alternator for the Hyundai i20 1.1 and 1.4 diesels and Kia Rio 1.1 and 1.4 diesels (all 2014-onwards) – part number AEG1426. Finally, taking a sporty turn, the Bradford-based remanufacturer stocks alternator, AEG1487, for the Nissan GT-R 3.8 petrol (2009-onwards). Having the ability to satisfy such demand illustrates the company’s prowess and track record of never letting its customers down. Autoelectro says it has experienced surges in demand for rare part numbers, such as the alternator for the Nissan GT-R, with calls coming from as far as Australia and New Zealand, as well the United States and Europe. In terms of turnaround time, Australian customers will usually receive their part in a couple of weeks, with Europeans receiving their order in just a matter of days. *Original article can be found on Autoscene's website at: www.autosceneuk.co.uk/autoelectro-delivers-on-more-product-part-numbers/.